Having a great idea and developing project to create a plastic art might seem easy. It is not. Even with plastic widely available around the world, choosing to go with the easiest and more malleable material doesn’t mean instant success. There is a lot to consider, plan and review before reaching production. Finding high-quality plastic to work with can be difficult since there are a lot of variables that need to be narrowed down. 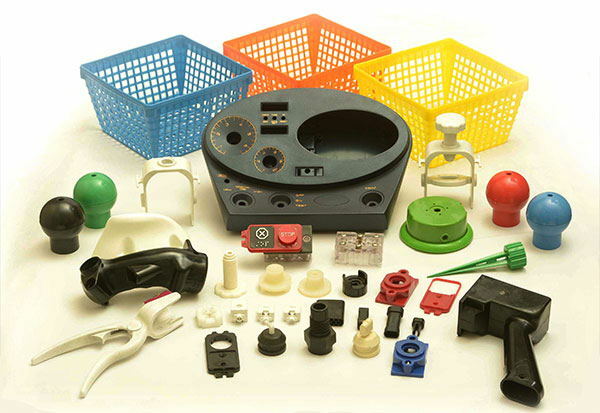 As you organize your project along the plastic injection molding manufacturer, engineering can take care of the details regarding the design and execution of the project to let you know what is best for you. If a manufacturer can’t offer open lines of communication to handle such a fundamental process, you are not working with the right one. Most of the time we make the mistake of paying attention to the quality of the products released by a manufacturer, or we just go with their reputation. We need to pay attention to more details if our goal is to succeed and make our project financially viable in every regard. One of the biggest claims in the plastic injection industry is that many companies do specialized work. Given the number of increasing companies offering the same services, it is always best to test if they can deliver on what you are expecting. If a company has a reputation for working with a very specialized niche, it would be best to approach it with those interests in mind and not ask them to do something out of their comfort zone. The risk of asking something more out of them is facing some stressing times. The great thing about the internet is that you can find information about everyone, especially high profile developers in the plastic molding industry. Reviews are found in every corner. A lot of companies can deliver, while others can have a hard time to fulfill projects. The problem here at times is when these players embrace other venues out of their niche and end up failing to their clients by delivering a botched work. Take these reviews with a grain of salt. While it0s true that one bad review can outweigh ten, it’s also fair to pay attention to the circumstances that lead to that bad review. A company is in the unique position of having success in their hands when they take on a project to create a part that needs to be designed to meet certain standards. Doing so under the preferred budget can lead many of these developers to take some bad decisions like hiring different companies to handle various stages of the development. Outsourcing every phase of a project is still regarded as probably one of the worst decisions that can be made to have a successful product. It rarely works, and the finished products are usually subpar at best. There is also the issue of dealing with different people who work very differently as you shop each part to a different company for every stage of development. Dealing with so many players means having to cope with different schedules and overall different levels of competence to deliver the project to fruition. A single manufacturer can perform the best service, but too many of them mean delays and quality issues. The worst part of this equation is the many people who build a network this way since they tend to get mixed up the upstanding manufacturer with the mediocre ones. If a project is underfunded, it is best to rethink the strategy and develop the whole project under a single roof. The notion of a strategy is essential to work a plastic molding project. Settling for whatever is handed to us it’s not an option. The ISO 9000 standards exist for a reason. If your product is aimed at mass release, you can use them as the basic guideline to get something with the desired quality. If you are creating a plastic part that will be used within more complex machines, you must embrace the norm to 100% in compliance. There is never such a thing as a minor detail. Overseeing this is what leads to the type of blunders that even big corporations can’t hide. Irregularities within plastic parts can affect the aesthetics of a finished product, but functionality must be guaranteed at all costs. As a developer, you need to stand your grand and avoid accepting substandard products. To get to that stage, you need to be able to identify even the tiniest flaws of the product you are making. It’s important to have this knowledge even if you are not tech savvy. Getting in bed with a manufacturer full-time means that he can be held responsible to some extent for the success or failure of your product. It also never hurts to be knowledgeable in your product to be able to explain how it works. Being mindful of quality can bring some scuffles with your plastic injection molding manufacturer. Don’t be afraid to face them. After all, you are the client!